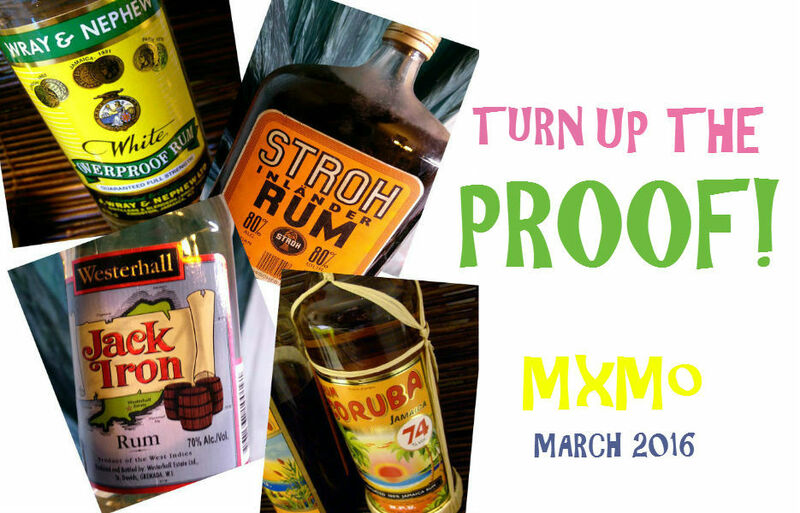 Mixology Monday lives on…..this is the 107th MxMo! This cult event is still going strong…since 2006 when it was first created by Paul Clarke, publisher of The Cocktail Chronicles, who ran the event for 6 years, and now as of August 2012, Frederic Yarm, one of the authors of the Cocktail Virgin blog, has taken over as moderator. The theme is overproof and how you use overproof spirits whether it be as floats or as base spirit or something to flame up a cocktail with etc. This MxMo is hosted by Dagreb over at the Nihil Utopia blog. The term “proof” dates back to 16th century England, when spirits were taxed at different rates depending on their alcohol content. Spirits were tested by soaking a pellet of gunpowder in them. If the gunpowder could still burn, the spirits were rated above proof and taxed at a higher rate. Gunpowder would not burn in rum that contained less than 57.15% ABV.The gunpowder test was officially replaced by a specific-gravity test in 1816. The proof system in the United States was established around 1848 and was based on percent alcohol rather than specific gravity. 50% alcohol was defined as 100 proof. The first overproof rum I`m picking from my collection is Rivers Royale Rum from the River Antoine distillery, a very interesting rum from Grenada which is made in the a very old fashioned way, actually the River Antoine Estate distillery is unique on this planet and that´s what makes it so special. They have produced their legendary high proof Rivers Rum since 1785 with unchanged age-old techniques and their antique equipment is still used today! for example their two potstills are both heated using locally cut hardwood and parts of the distillery´s machinery are over 200 years old…The crushing mill dates back to 1945 and is powered by water from the river. And the the rum? 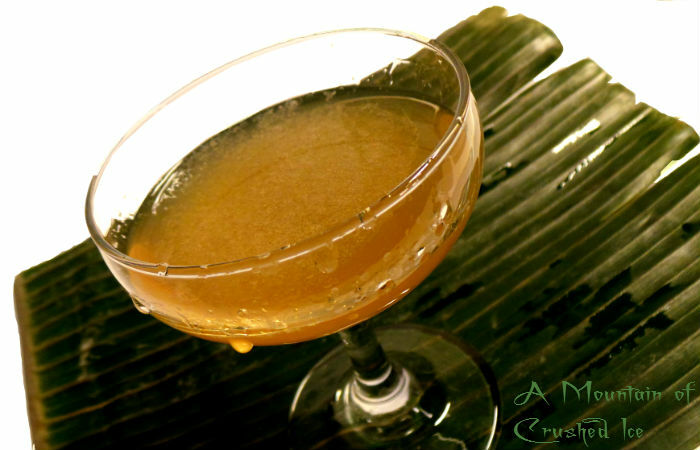 – I just got a whooooole load of funky slightly grassy flavors in my mouth….Rivers rum…painstakingly handmade with ancient methods from fermented sugarcane syrup – a very special rum indeed. The flavor reminds about the more well known JWray overproof but more balanced and subtle. So it lends itself well in citrusy cocktails. The one I have is the ” lower strength, export” version (69%) and there´s also one at 75% and yes there´s supposed to be even stronger local versions too…so strong it cannot be exported. The label of the 75% version is funny, it says “slightly overproof rum” 🙂 This rum is hard to come by…you can sub it with RumFire or JWray overproof, but the RumFire is closer to this. I was thinking of Rivers and Ting, but right now I can`t find Ting anywhere so I settle for a daquiri instead, which is equally good! That´s a nice starter! the rum is so smooth despite being overproof and this drink went down too easy…. 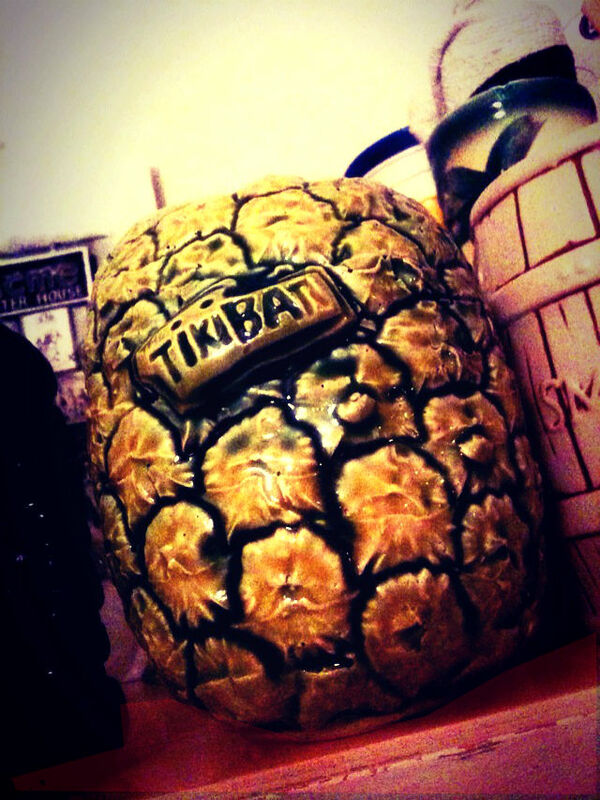 Now let´s move on to tiki…. 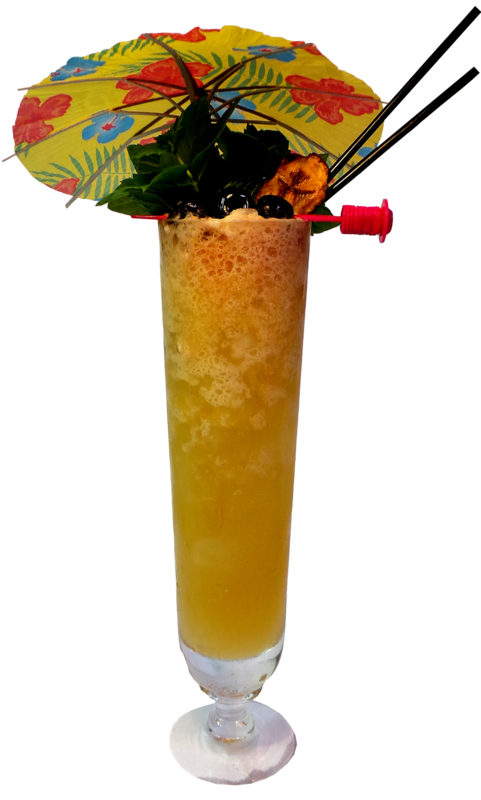 There´s a drink called the “Tasman Sea” in Remixed, it´s the Bum`s version of an old drink called the “Lady Love” which was served at various bars in Oahu in the late 60s. The Bums version uses 151 Lemon Hart. 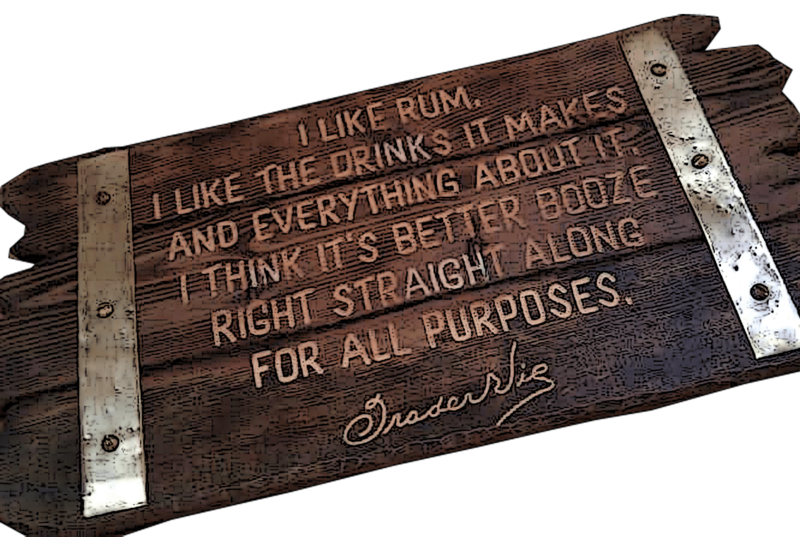 But the drink also uses another 151 proof Caribbean rum (of your choice) so I thought this drink would fit into this post. Put everything in a blender and blend for up to 10 sec. Pour unstrained into a large snifter or tiki mug. Next up is a version of Martin Cate´s 2070 Swizzle called the 2070 Swizzle Redux made by Tim “Swanky” Glazner. The cool thing about the Redux version is that is uses coffee….and I really do love tiki drinks with coffee! Use about 1/2 cup crushed ice, flash blended for a few seconds. Lately I prefer to put everything in the blender but ice, set it to the lowest setting, on mine it is “Stir” and get all the ingredients mixed. Then I add the ice and hit it on high. I zap it for a second, let it stop and repeat. Do that maybe 3 or 4 times. Pour into the proper glass (collins/zombie, or the classic aluminum ones) and add ice to fill. Grate some fresh nutmeg on top. Add cinnamon stick as swizzle. 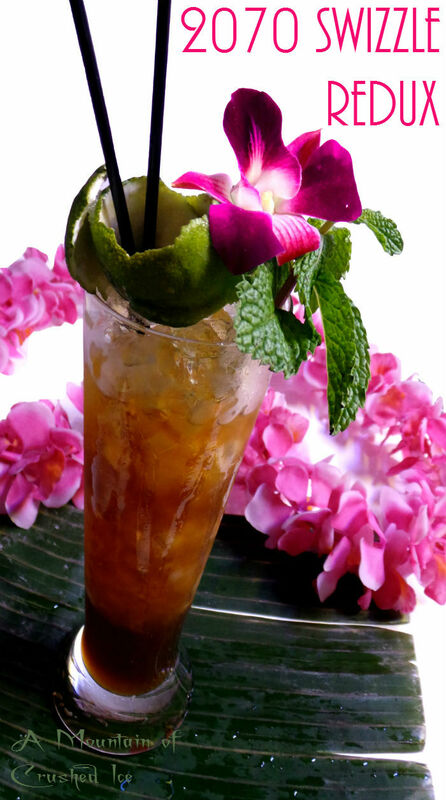 Since it`february it´high time i plunge into the Tiki Month which is an annual and very cool event over at the Pegu blog. 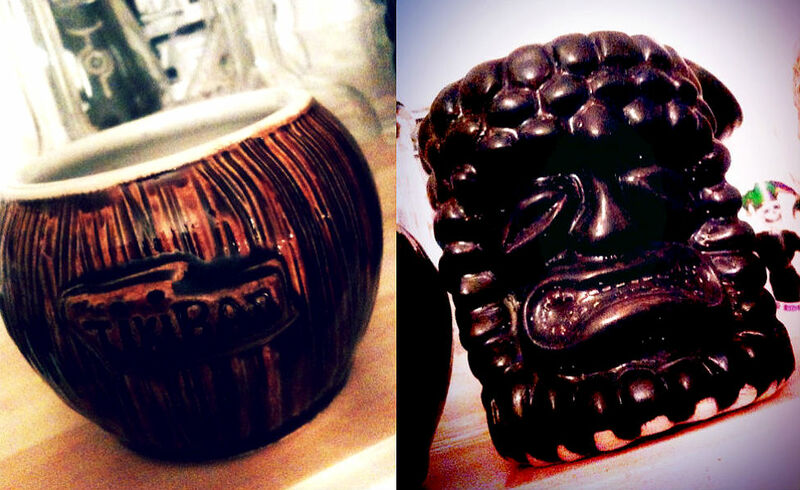 I´m a bit late to the party because of mardi gras and then a rum review (Caroni-97) – but now i`m ready and very timely i happened to get a few new tiki mugs…. It might look like a joke to say i`m doing the tiki month here since every month all year is tiki month on this blog more or less…but nevertheless – Doug` tiki month is OFFICIAL and when it kicks off it´s some serious business! His annual tiki month is a beloved thing and it sets the tone for the rest of us tiki afficionados… His rapid parade of interesting posts are guaranteed to keep you busy for a long while and i get a lot of inspiration from them. 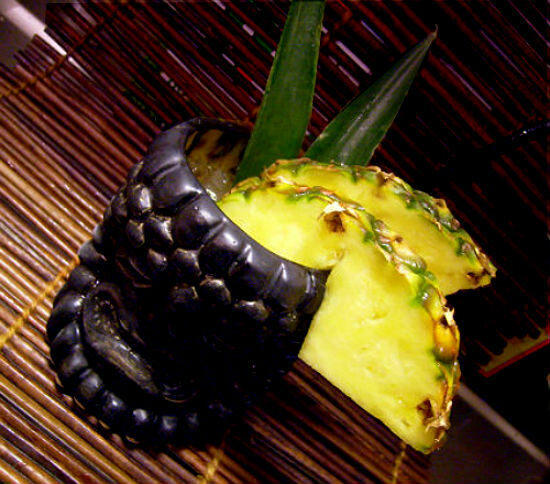 To kick it off here i decided to make the cocktail that is the namesake for one of my new tiki mugs – the Sumatra Kula. The mugs i got are made at the Fireworks Ceramics Studio in Glasgow, Scottland and they are made for the Glasgow Tiki Bar. I got three mugs, the Sumatra Kula, the Coconut and the Pineapple which they serve their pina coladas in at the bar. Nice work they are doing! 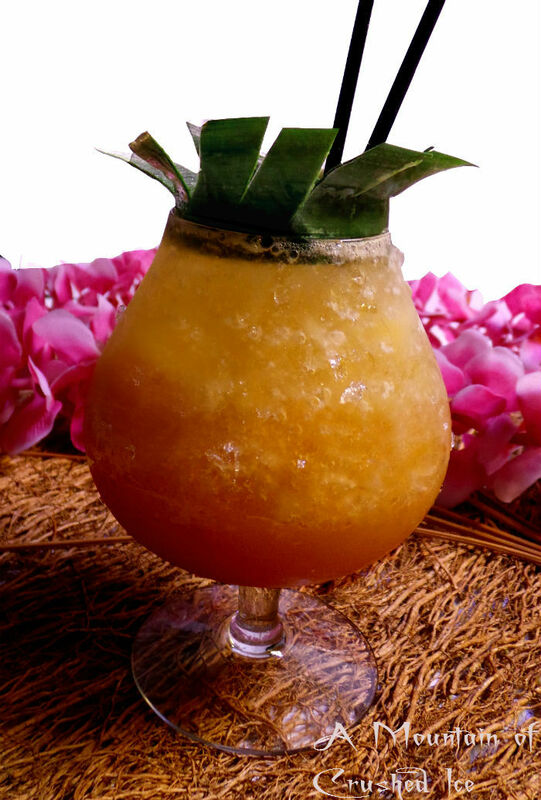 Here´s a strong and spicy rum drink from Sippin´Safari, it was created at the Hawaiian Village motel and restaurant in Tampa in 1969 by chef Joe King Sui in true tiki style and ambiance back in the golden tiki days. 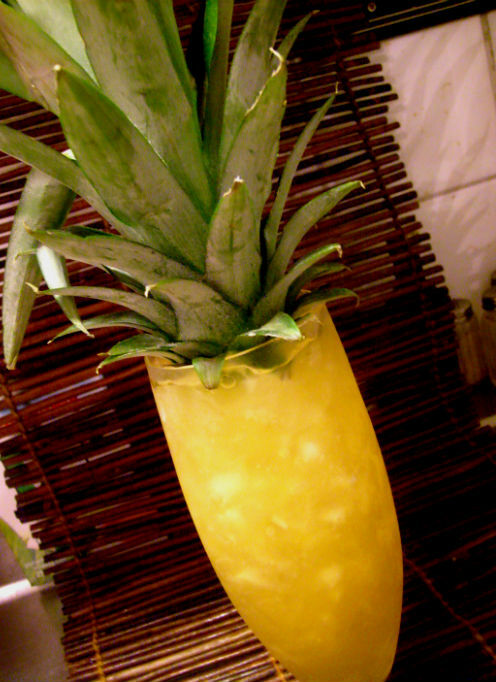 The drink is a mix of dark or aged Puerto Rican and Myers rums,vodka, pineapple, orange and and lime juices, passionfruit syrup and honey and blended with crushed ice. I have changed it up a little bit though since i don`t have the exact rums, so i used Smith and Cross and Appleton Extra and a homemade vanilla flavored vodka and then all fresh juices. Then i made a variation of it and changed the Appleton for an aged rhum agricole and the vodka for a white rum, then switched orange juice for fresh grapefruit juice and added a dash of angostura bitters. Turned out tasty as well. Dissolve honey in lime juice and place in a blender with all other ingredients and blend for 30 seconds. 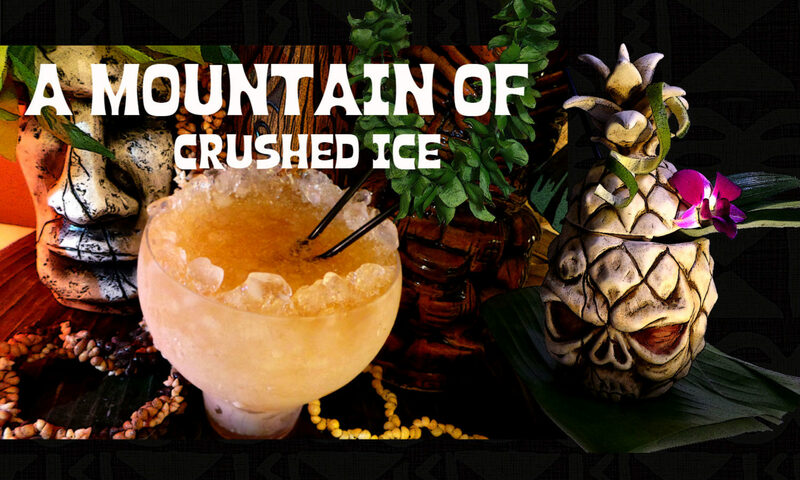 Pour in a tiki mug or tall glass and fill up with more crushed ice. 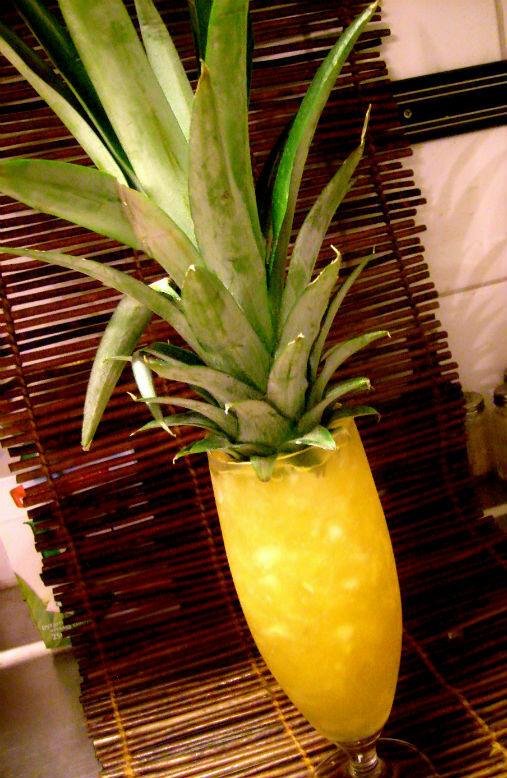 Garnish with pineapple leaves or slice and if you wish maraschino cherry. 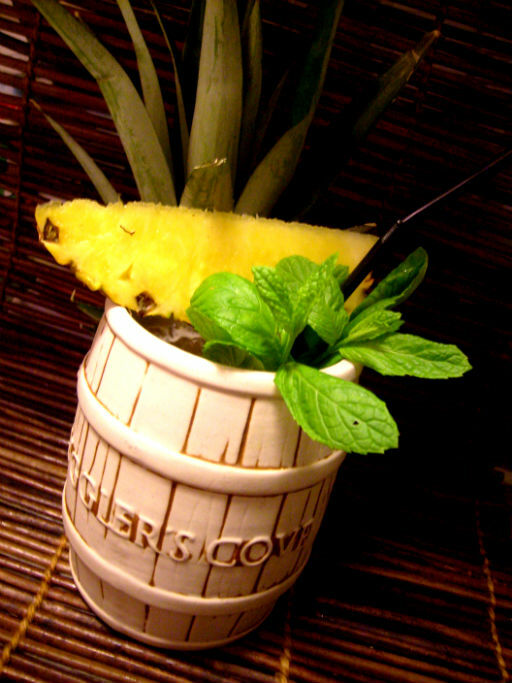 Proceed as with the first drink and serve in a rum barrel tiki mug. 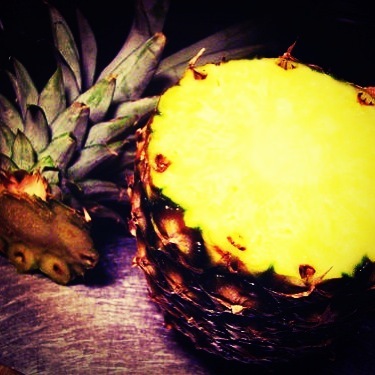 Garnish with pineapple wedge and fresh mint.